Evan Z. Reid concentrates his practice in the areas of complex commercial litigation as well as the defense of government investigations and white collar criminal cases. He represents individuals and companies including doctors, business executives, health care facilities, and large corporations, under investigation by or prosecuted by state or federal governments. 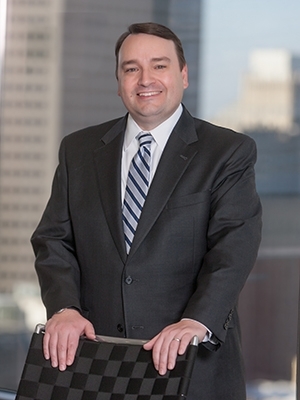 Evan is particularly knowledgeable in the areas of health care, securities, and antitrust. He assists clients in conducting internal investigations and audits to identify and correct any issues with respect to compliance with applicable statutes and regulations. Evan's commercial litigation practice regularly involves the defense of complex False Claims Act, antitrust, securities, fraud, and contract cases, often including class actions. His recent litigation successes include a favorable first-in-the-nation interpretation of a crucial section of the Sarbanes Oxley Act and an appellate decision narrowly defining the responsibilities of private hospitals in Missouri when they seek to revoke physician privileges. Evan's practice takes him frequently into federal and state courts in Missouri, Illinois, and elsewhere as well as the Supreme Court of Missouri, the Eighth Circuit Court of Appeals, and the Missouri Court of Appeals. In addition, Evan was selected for inclusion in Missouri & Kansas Rising Stars® 2009.